Flag teams of all youth ages are invited to participate in this one of a kind weekend event. 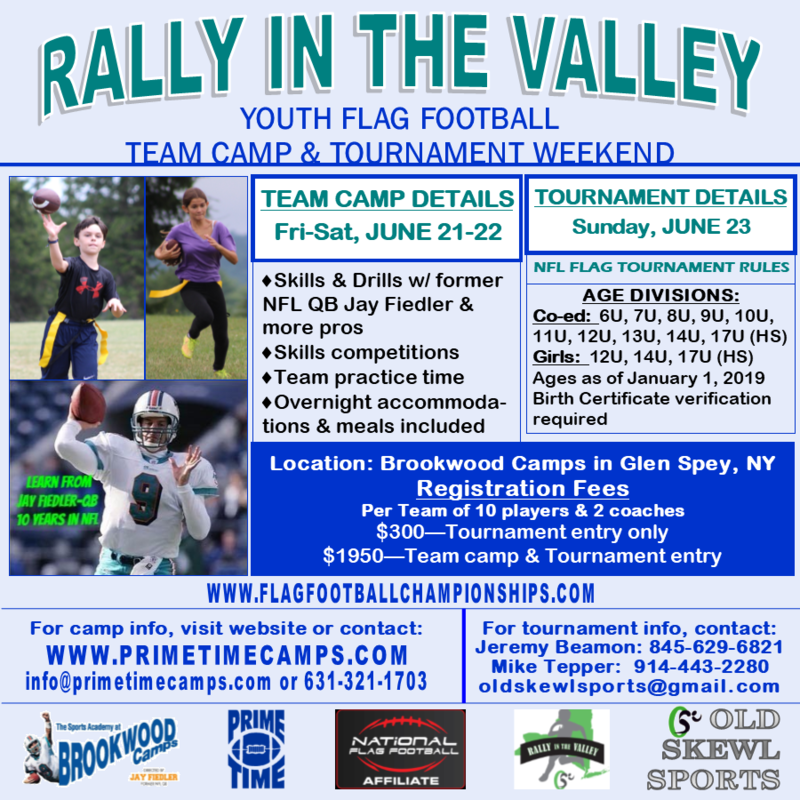 The tournament will take place on Sunday, June 23rd at The Sports Academy at Brookwood Camps in Glen Spey, NY with teams invited from all over the east coast. In addition to the tournament on Sunday, we will host an instructional camp Friday and Saturday leading up to the Sunday tournament for up to 30 teams looking to improve their skills in an instructional camp led by Former NFL Quarterback Jay Fiedler and other pros. Sign your team up for the full weekend camp and tournament combined or just join us on Sunday for the tournament only.